Students are celebrating the school’s best ever GCSE results. A record 54% of grades are at A*/A and a record 190 modules awarded 100%. 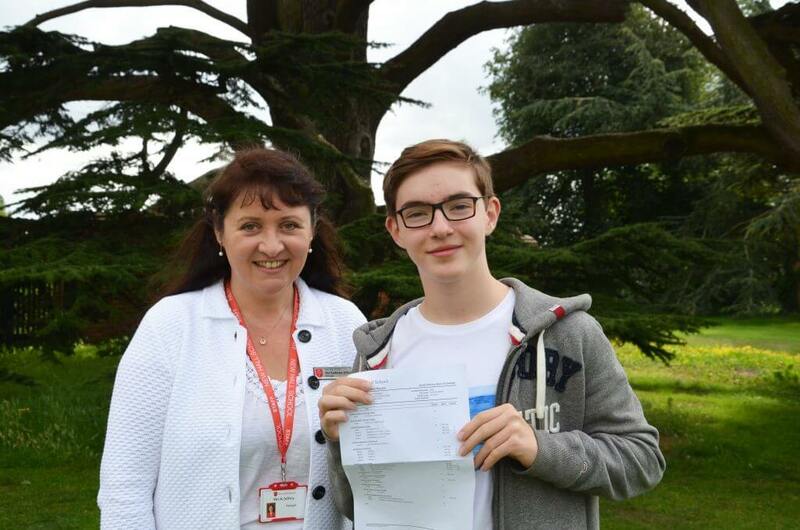 A number of students are celebrating 100% overall in their Science GCSEs. A quarter of grades have been awarded at A* or 8+, an increase that bucks the national trend. 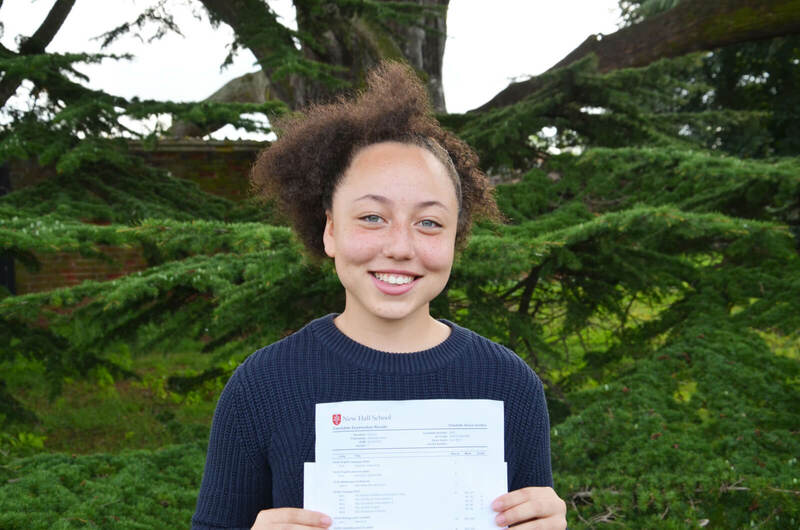 Top performing girl, Charlotte Gordon (former student of White Court Primary School), was thrilled to have achieved outstanding results across the board, achieving 8A*s and three 9s, including perfect 100% scores in Biology, Chemistry and Physics and 100% modules in French, Spanish and Theology. Charlotte has combined her workload with a number of co-curricular activities, including obtaining her Full Colours for hockey and achieving her Grade VII in piano earlier this summer. 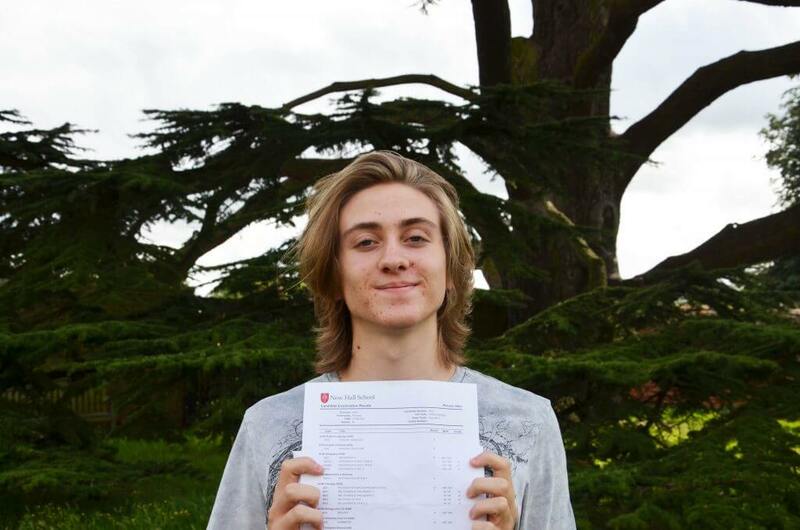 Top performing boy Phineas Allen (former student of Perryfields Junior School) achieved 7A*s, three grade 9s and one A grade, including 100% scores awarded in Biology, Chemistry, Physics, Geography and Theology. Outstanding achievers include many boarding students: Anya Cook, former student of Ursuline Preparatory School, (7A*s, 2As and three grade 8s), Jacob O’Ceallaigh, former student of English Martyrs Catholic Primary School, (7A*s, two grade 9s, one A and one grade 8), Daniel Skells, former student of Holmwood House, (6A*s, 2As and two grade 8s), Molly Thompson-McVicar, former student of Chelmer Valley High School, (6A*s, one A and three grade 8s) and twin sisters and former students of The Dragon School Anastasia (5A*s, one A, three grade 7s and one B) and Alexandra Clarke (4A*s, 3As, two grade 8s and one grade 7). New Hall is also celebrating record results in the London Academy of Music & Dramatic Art (LAMDA) qualifications. In the Senior Divisions, 202 students were entered for assessments, up to Grade 8 Public Speaking. There was 100% success rate with 79% receiving distinction and 98% at distinction/merit. Mrs James, Head of LAMDA, said “These results are sensational and I am very proud of all that has been achieved. For 139 students to achieve distinction is outstanding. 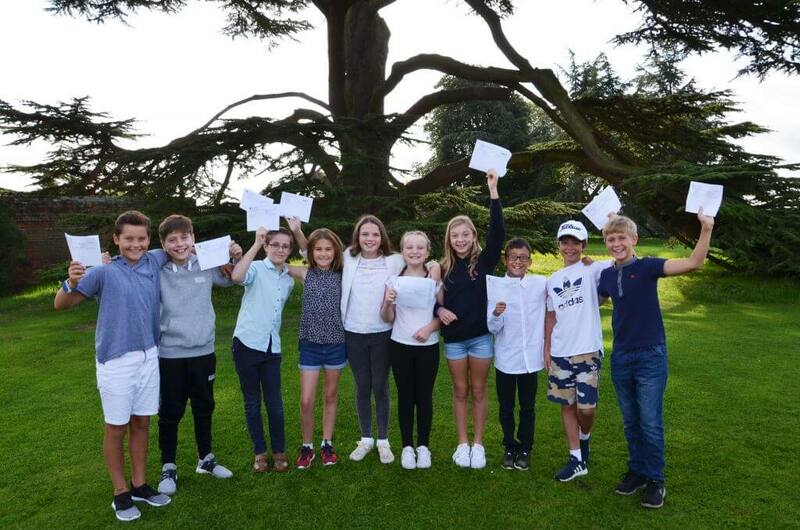 The LAMDA courses are incredibly valuable educationally, since they enable students to build confidence in public speaking and communication skills that are vital in so many careers.” New Hall Preparatory Division was also celebrating record numbers of pupils entering LAMDA qualifications, with a 100% success rate.